Dr. Kiernan joined the Metropolitan School of Professional Studies in June 2016. Previously, he served as an associate dean at George Mason University and Georgetown University's School of Continuing Studies, where he led the university's undergraduate program for working students. 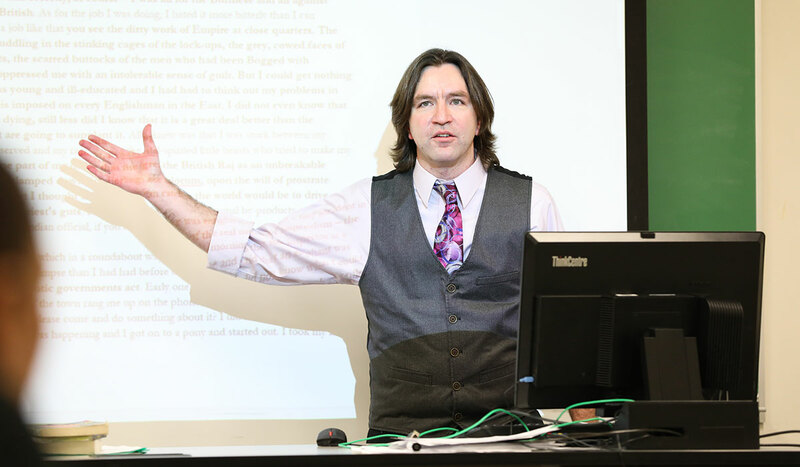 He earned a Ph.D. in mass communication from the University of Maryland, College Park; an executive master's in leadership from Georgetown’s McDonough School of Business; and a master of science in adult and continuing education from Kansas State University. 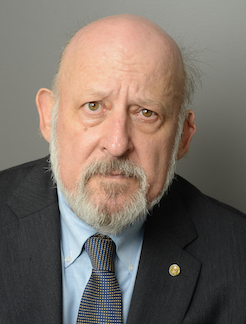 Prior to his work in academe, Dr. Kiernan worked for more than 20 years as a science and medical journalist, and his academic research centers on science and medical journalism, more particularly on relationships between journalists and the scientific establishment. His 2006 book, Embargoed Science, critically examined news coverage of the latest scientific research. Tony joined the MSPS team in December 2010, originally serving as Program Coordinator for the Health Information Technology program. He has since expanded his academic advising duties to include students in all undergraduate bachelor’s, certificate, and non-credit programs. Originally from Wisconsin, with stops in Philadelphia, Montana, and 6-month stint on a tour bus promoting the 2008 Presidential election in-between, Tony is encouraged by the dedication and perseverance MSPS students show, particularly as he completed an MA in Religion and Culture in May, 2015. LaShay Long, is the Director of Admissions and Communications for the Metropolitan School of Professional Studies. Prior to joining Catholic University, LaShay began a career in education in 2005, as an Education Consultant for Sylvan Learning Center. She continued her career at an education technology company, 2U Inc. for 4 years supporting the University of Southern California’s Rossier School of Education by training new staff on programs, and facilitating virtual marketing events. LaShay’s passion for education continued as a Program Director for Baltimore County Public Schools, and classroom teacher for Baltimore City Public Schools district. LaShay holds a Master of Arts in Teaching from Goucher College and a Bachelor of Science concentrating in Education and Psychology. 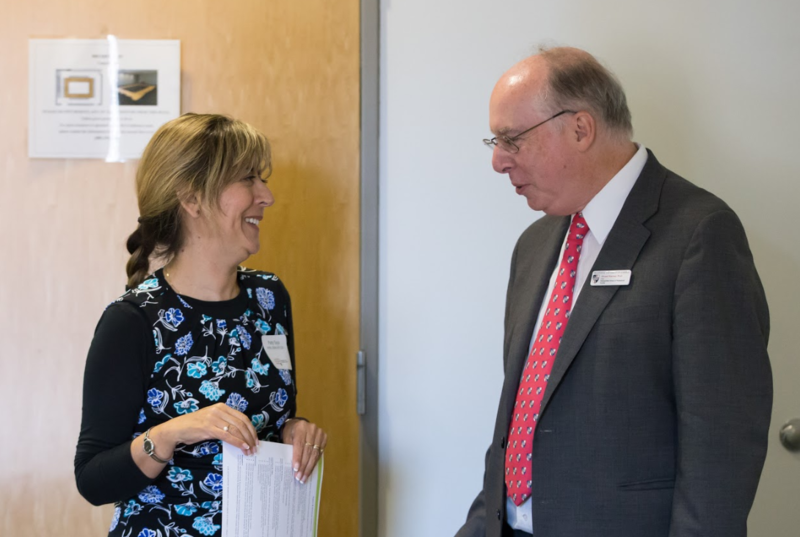 After working at the Catholic University of America for five years in the Division of University Advancement Susan Byrne joined the Metropolitan School of Professional Studies in June 2017 as the Assistant to Dean Kiernan. She works to organize the day to day administrative and office functions of the school and deeply appreciates working with the wonderful students, staff and faculty of MSPS. 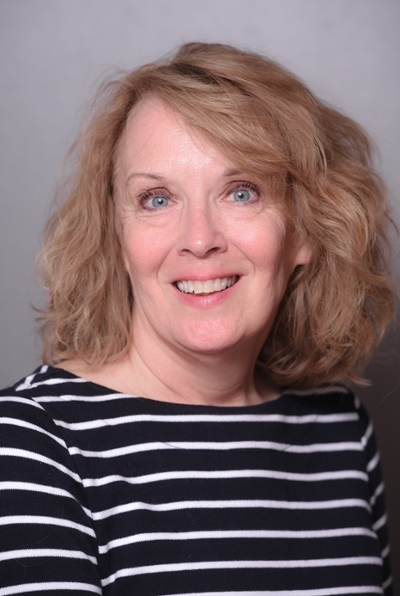 Susan earned her Bachelor of Arts degree from Boston College in English and Communications, and is a mother of 4 including a recent Catholic University alumnus who graduated with a B.A. degree in Elementary Education and Hispanic Studies. Susan grew up in New England area, now resides in Olney, MD with her husband Jim and continues to support all New England sports teams. Go Patriots. After growing up in University Park, Maryland, Daniela Petchik started at Catholic University as an undergraduate student, and her first philosophy course changed her life. Indeed, "All men by nature desire to know." She now has a degree from Catholic University (and another one from the University of Toronto) and has been on staff here since 2013. Prior to joining the Metropolitan School family, Daniela worked in the Division of University Advancement. She loves Catholic University and enjoys sharing her passion for Catholic University with others. Daniela really loves her mission support role in MSPS, being able to act as an advocate within the University for faculty and students alike. She also follows professional baseball, particularly the Baltimore Orioles, and is a big fan of charity 5Ks and intramural sports. Another of her hobbies is flower arranging. 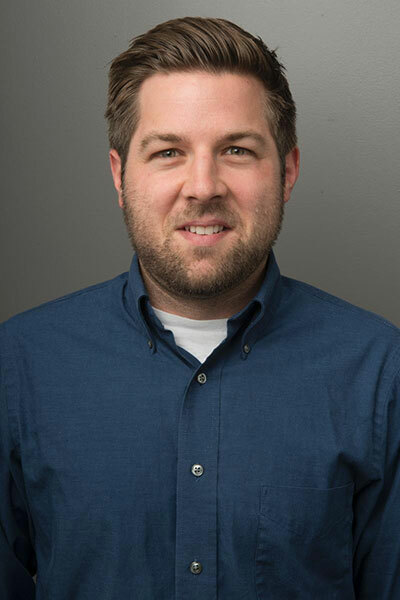 Chad Smith joined the Metropolitan School of Professional Studies in October 2017. He has been a licensed and practicing attorney in the South Florida area since 2009. Mr. Smith earned a B.S. in Business Management from the University of Florida and J.D. from Nova Southeastern University. Previously, he was adjunct faculty at Nova Southeastern University and Brown Mackie College – Miami. Over the last 8 years, Mr. Smith has taught several courses in the areas of Paralegal Studies, Criminal Justice, and General Education. 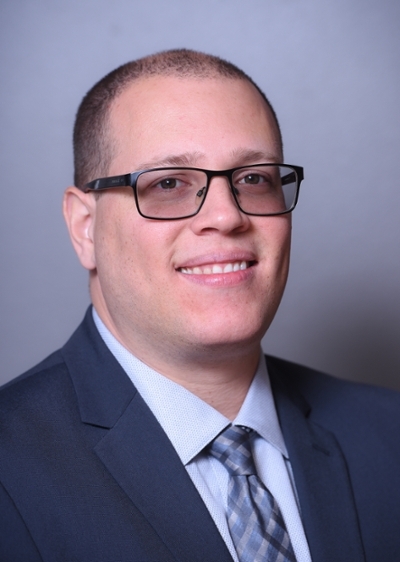 In his role as Director of Legal Programs, Mr. Smith looks forward to establishing the Paralegal Program as a mainstay at the Catholic University and helping to provide students with support and guidance to further their academic and legal careers. 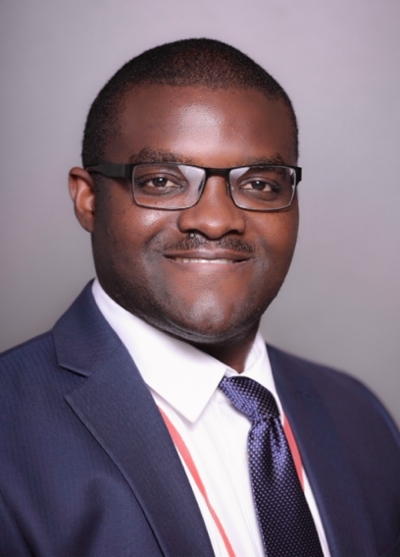 Jean-Luc began a career in education as a research/teaching assistant in the Department of Chemistry and Biochemistry at UT Arlington and he joined the Metropolitan School of Professional Studies in March 2018. Prior to joining MSPS as the Admissions Coordinator, Jean-Luc worked as a Curriculum Design with the University of Management and Technology. Additionally, he served as Coordinator/Educational Advisor for TRIO-Upward Bound Programs, helping low-income and first-generation college students make a successful transition from secondary to post-secondary education. Jean-Luc holds M.Ed in Educational Leadership and Policy and currently pursuing an M.A in Policy and Finance in Higher Education. 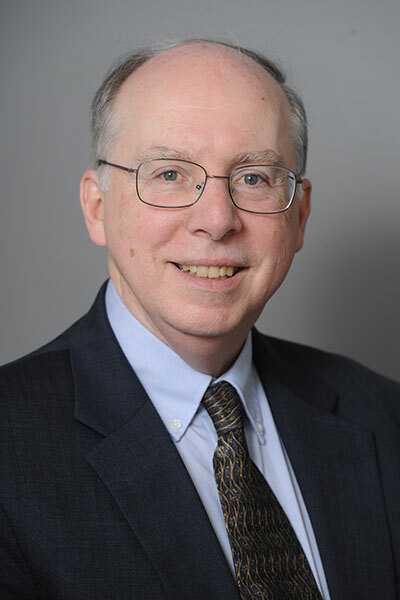 John V. Tieso has spent over 35 years working with government and business leaders developing innovative and productive business engineering practices. His present firm, John Tieso LLC, works with small and medium-sized firms desiring to enhance and extend the productivity of their enterprise. Prior to retirement from Federal Government service in 1997, Tieso last served as Deputy Director, Functional Process Improvement in the Office of the Deputy Assistant Secretary of Defense (Command, Control, Communications, and Intelligence) and was a principal in the development of the methodology and techniques for enterprise architecture, process reengineering, and knowledge management. He was a member of several major study groups, among which were those developing the first; executable framework for information architecture, standards for data management in large enterprises, and the first toolsets for business engineering design and functional economic analysis capability. John Tieso's professional experience and knowledge of The Catholic University of America will be a great resource to the MSPS undergraduate student body. 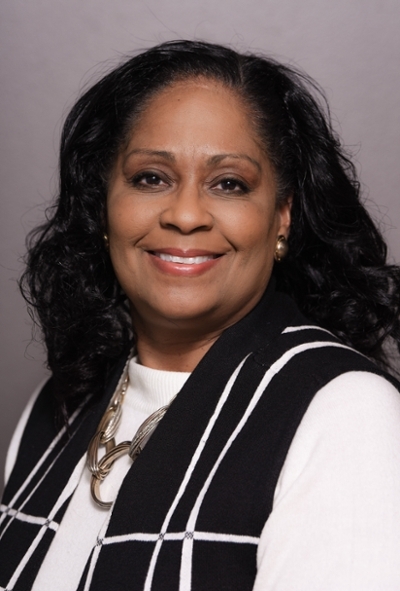 Dr. Twila Lindsay joined the Metropolitan School of Professional studies in October 2018. Prior to joining The Catholic University of America, she served as a Campus Dean at Strayer University for several campuses in the Metropolitan area. In addition, she served as a Research Psychologist for the Department of Transportation, and CEO for a Residential Treatment Facility for Youth. 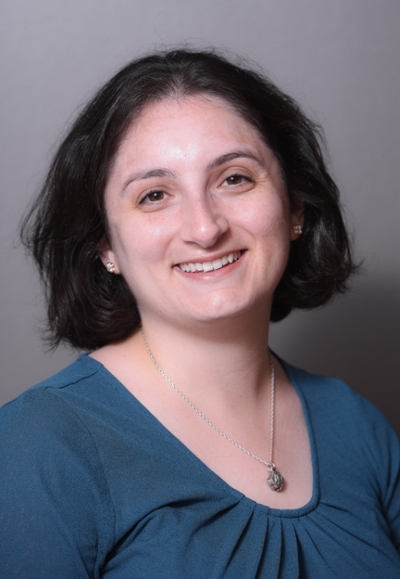 Dr. Lindsay was an adjunct instructor at Montgomery College, the University of the District of Columbia and Strayer University where she taught several courses in the field of Psychology. 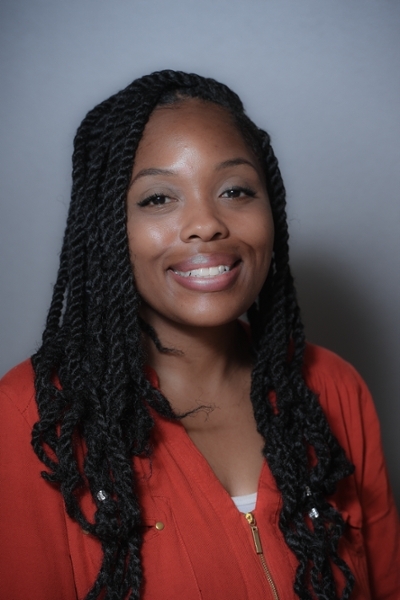 Dr. Lindsay holds a Bachelor of Arts in Psychology from the University of the District of Columbia, and a Master’s of Science and Ph.D. degrees in Psychology, concentration in Human Development, from Howard University.